Oasis Palavasienne is a luxury camping spot that welcomes you into the heart of France’s sunniest region. The natural environment and the charm there is to the greenery and flora and fauna in this LuxCamp place offer calm and relaxation unlike any other luxury camping holiday. And for your kids, there is a myriad of fun and entertainment options. Located near Montpellier and Lattes Palavas, Oasis Palavasienne is strategically located between the city and sea and close to a safeguarded natural place that would meet all your vacation requirements. The nature trails, long nearby beaches, etc. offer a little of almost everything. 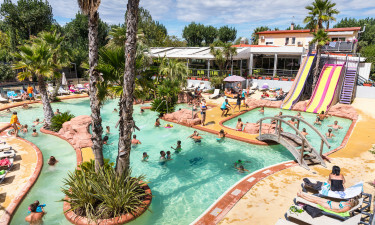 Why choose Camping Oasis Palavasienne ? 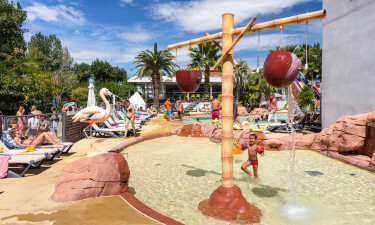 Oasis Palavasienne , besides the Mediterranean Sea, also offers an outdoor heated pool with swimming pool equipment for both adults and children. This casual, family-friendly pool also hosts several aquatic activities such as water polo and water aerobics for sports enthusiasts. 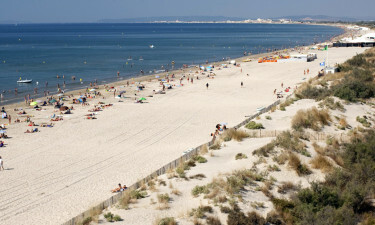 During July/August, Oasis Palavasienne camping comes up with a bus shuttle service to the Palavas Beach. This shuttle comprises multiple buses so that you can take a bus whenever you want. Also, these buses take you to Lattes market every Sunday.